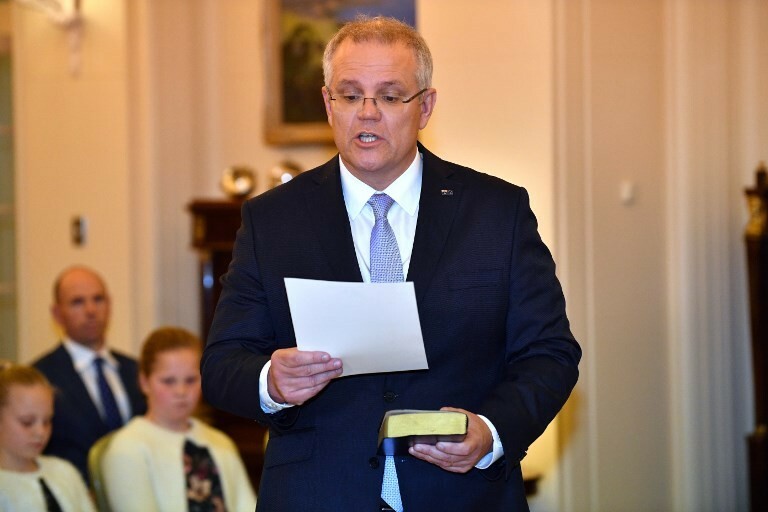 We welcome, again, a new leader on our doorstep: Scott Morrison, who was inaugurated last week in Canberra. On Friday, President Joko “Jokowi” Widodo is set to greet his third Australian state guest since Tony Abott and Malcolm Turnbull. Prime Minister Morrison can check out all the earlier advice from prominent experts and long-time associates of Indonesia in Australia on how best to deal with and benefit from their big northern neighbor — because much of the sound suggestions have barely been acted upon when highly dynamic internal politics have prompted change of Australian leadership once more. For instance, the warm banter in the sweltering Tanah Abang Market in Central Jakarta in late 2015 between Jokowi and Turnbull reflected amicable ties, allowing both leaders to further discuss critical bilateral and regional issues in the following years. Yet the two governments still have to push for stronger trade relations, among other things. It is indeed an honor that new Australian leaders have traditionally visited Jakarta as part of their first overseas visit. But they would be even better welcomed if they could walk the talk and better contribute to our two-way trade. Figures for Australia’s trade with Malaysia and China , for instance, are far higher than those with Indonesia. Behind our leaders, their aides have worked hard to increase cooperation, apart from patching up any differences. Julia Bishop, deputy of Turnbull’s Liberal Party, was one of 13 Cabinet members who resigned as Morrison secured the party leadership, and her replacement should be able to work closely with Indonesia’s Retno LP Marsudi. The newly announced foreign minister is Marise Payne, the former defense minister who is thankfully already familiar with Indonesia’s government. Indonesians will be especially wary of Morrison’s background as Abbot’s minister for immigration and border protection. The infamous “stop the boats” policy has continued despite outcries that turning back boatpeople in the middle of the ocean — even when Australia’s authorities deem it safe to do so — violates international conventions, including those on refugees and others on the basic human rights to safety and life itself. But Indonesia will also need to prevent and firmly deal with corrupt authorities suspected of complicity with human traffickers, while turning a blind eye to overcrowded, rickety boats setting sail for Australia. As members of the Bali Process comprising dozens of nations dealing with refugees, both Indonesia and Australia have yet to secure better ways to deal with the waves of people fleeing their own governments and societies who continue to repress and persecute them. Australia remains Indonesia’s vital ally, particularly in the face of constant threats, be it from terrorism or an overbearing China. Despite Indonesia’s stops and starts, our partnership with Australia is crucial in making the region safer and more prosperous for all.